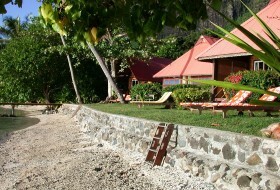 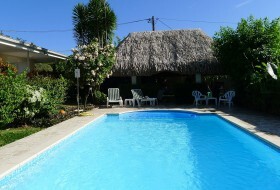 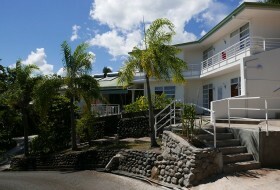 Located in Papeete, only 5min from downtown, 10min from the pier, 15min from the airport. 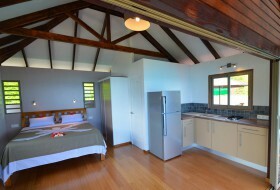 This guesthouse is settled in a residential area, mountainside. 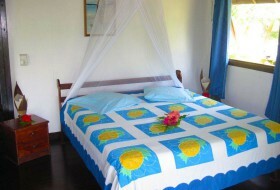 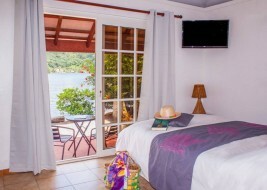 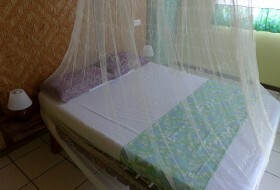 Comfortable and nicely decorated rooms and a studio ideal for a family. 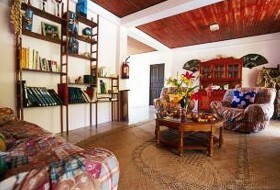 The guesthouse also features a Honesty Bar offering all-day beverages and snacking. 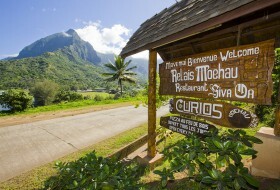 Fare Suisse will perfectly suit independant travellers wishing to stay near all facilities that the city offers: shopping, main pier to Moorea, restaurants? 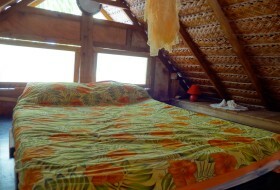 Located on the main island of Maupiti, Tautiare Village is a charming guesthouse well-run by Dawn and his family, that offers very spacious rooms with private bathroom. 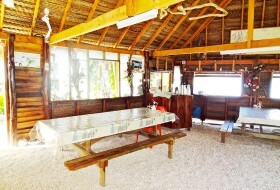 The meals, made of products of the island, are taken together outside or in a common area covered, according to the weather. 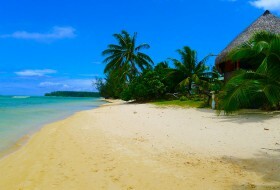 No beach on site but you can easily reach the public beach of Tere'ia on foot or by bike, the opportunity to discover this picturesque island. 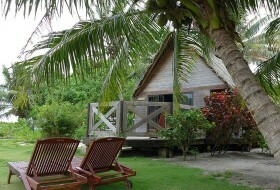 Little cozy nest, located in the remote island of Rimatara, this small family lodge brings a lot to the charm of the island. 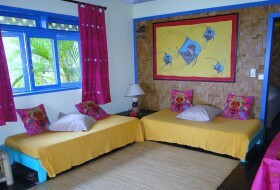 During 3 to 4 days, depending on the length of stay, the managers will welcome you in their comfortable and charming bungalows. 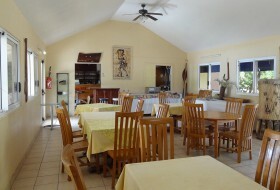 Savoury meals, mostly prepared with local products, are taken all together within the main fare. 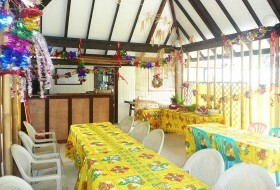 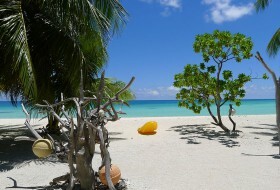 A variety of cultural activites is suggested everyday, hands-on, in order to discover the island the best possible way. 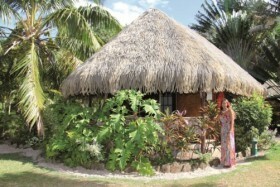 Located in Opunohu Bay, the haven of peace for dolphins & whales, the Fare Vaihere offers only four Polynesian style bungalows in a green garden. 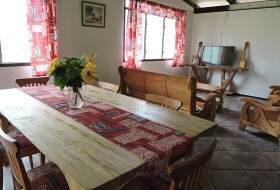 Accommodation is simple but comfortable, with recent bedding and private fridge. 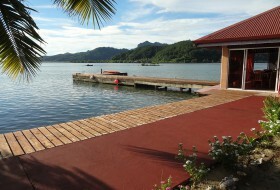 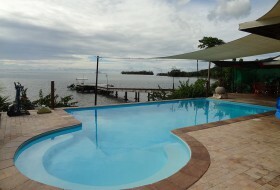 No real beach but a large pontoon to access to the lagoon and a nice snorkeling spot straight out from the property. 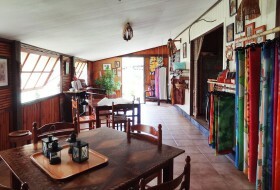 Do not miss the excellent cuisine of Corinne, one of the managers of the place.